Samsung Na Aaj Apna Most Waited Flagship Smartphone Galaxy Note 9 Launch kar Diya Hai. es smartphone ki specifications ke baare mein to Hum Jaan He chuke hain. 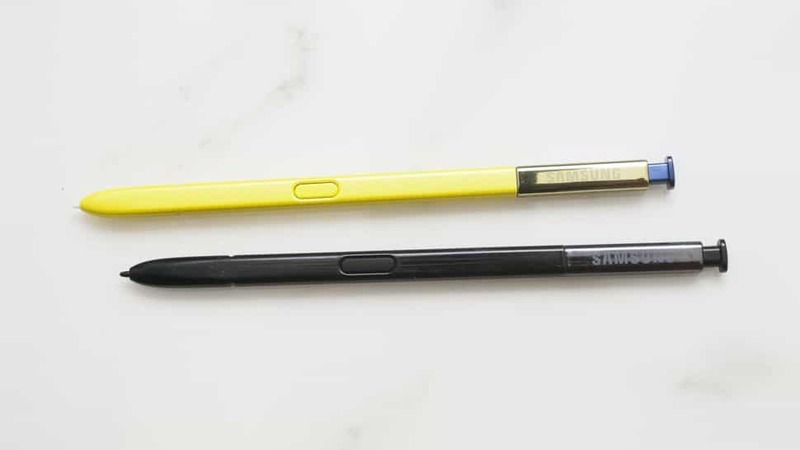 Lekin es Flagship Smartphone ki khaasiyat Hota Hai Eska S-Pen, Jo ki Es bar Pichle stylus ke Mukaable Kahin Jyada Interesting Aur Enhanced Hai. Jahaan ek Taraf Ese attractive Yellow Aur Blue colors Mein Introduce kiya Gaya Hai, Wahin Eske Features Bhi Kafi Powerful Hain. 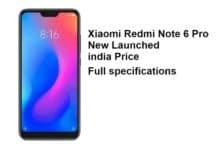 Aaiye Aapko batate hain ki is Naye S-Pen se smartphone Mein Kya Kuch Kar Sakte Hain Aur Uske baare Ismein Kaun see khas Features Add kiye Gaye Hain. 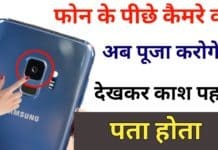 Bluetooth LE – Is bar Es S Pen Mein Bluetooth Bhi Hai, JIS Tarah Aapko Smart watches Ya HeadPhones Mein Bluetooth Milta Hai Aur Aap uUse Apne Phone Ke sath connect kar Sakte Hain, think ISI Tarah S Pen Mein diye Gaye Bluetooth se Aap ise 30 feet ki Range Mein 7 Devices se connect kar Sakte Hain. Iska Es Aur fayda ye Hai, Ki Ab ye wireless hua. 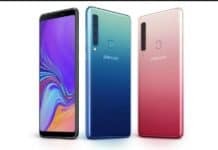 Lots of Activites via S Pen –S Pen ki Bluetooth BUTTON ko Long-Press karke Aap Smartphone Mein camera Application open kar Sakte Hain Aur Double Tap Karke selfie 🤳 Aur Rear Cameras ke beach Switch kar Sakte Hain. Iske Alawa is Par Single tap karne se Aapke liye picture click Karega. Yaani ki S Pen EK Tarah se Smartphone ka Remote Ban chuka Hai. 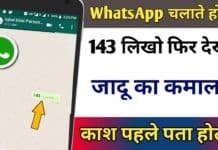 Music Control via S-Pen – Youtube par videos Dekhte Time, S-Pen ka yabhi Bluetooth BUTTON Aapke liye videos ko play aur Pause karne ka kam Bhi kar Sakta Hai. Agar Aap kisi Other Bluetooth speaker ya TV Par Music cast karke sun rah Hain, to Aapko Smartphone Uthaane ki zaroorat Nahin Hogi, Apni Pocket Mein Pade S-Pen ke Button ko Press Kijiye Aur videos play / pause kiye jaa sakte Hain. Your Presentation Partner – Office ki kisi presentation Mein Bhi ye apki Help kar Sakta Hai. Aapko Laptop ki koi zaroorat Nahin Hogi. Apne Presentation ko Aap Note 9 Mein save Kijiye Aur Jab Bhi Presentation Jo us Presentation ko open Kar phone ko Projector se connect ka dijiya Aur apki Pocket Mein Pade S-Pen ke Button ko Pap karne se Aap Power point Par Bani presentation ki slides ko Aage-Peeche kar Sakte Hain. Fast charge – Galaxy Note 9 ke Es S-Pen ki Battery Approximately 200 clicks Ya 30 minutes Tak Aapka sath deti Hai, Lekin iski khas bat ye Hai ki iski Battery kewal 40 seconds, jee haan minutes nahin, 40 seconds Mein charged Ho jati Hai. Bass ise Note 9 Mein wapas iski jagah Par insert Kijiye Aur 40-45 seconds Mein Full charge hone Par Aap wapas isse ye sbhi kam Kar Sakte Hain.